Three years after the airstrike on the Kunduz trauma hospital, the US has yet to take responsibility for the "unintentional assault." Speaking to Sputnik, Kunduz residents denounced the US attack and shed further light on the consequences of the US Air Force’s raid, which took place on October 3, 2015. Exactly three years ago, an Air Force AC-130 Special Operations Command gunship attacked the Kunduz Trauma Centre, operated by Doctors Without Borders, or Médecins Sans Frontières (MSF), which resulted in 42 killed and dozens wounded. Although the Pentagon expressed regret over the incident, it did not take responsibility for the lethal assault. Sputnik reached out to Kunduz residents, asking them to comment on the consequences of the strike. Esmatullah Esmat, the deputy head of a temporary hospital that was built near the destroyed trauma center, bemoaned the fact that the new facilities could accommodate just over half as many patients as the previous one and is worse-equipped. "The [new] hospital is not a patch on the one that was bombed," Esmat told Sputnik. There were 92 beds in the destroyed clinic, and this hospital is rather small: there are only 52 beds in it. Accordingly, we have made some changes in the order of receiving patients. As a priority, we admit seriously ill patients, those whose life is in danger, and only then those who got first aid at their place of residence." Abdul Marof Raufi, a businessman from Kunduz whose business suffered damage during the US air raid, told Sputnik that the number of victims of the attack actually exceeded the figures reported by the media after the strike. He recalled that the MSF hospital in Kunduz was very well equipped and provided patients with aid which they could not get at the Kunduz state hospital. 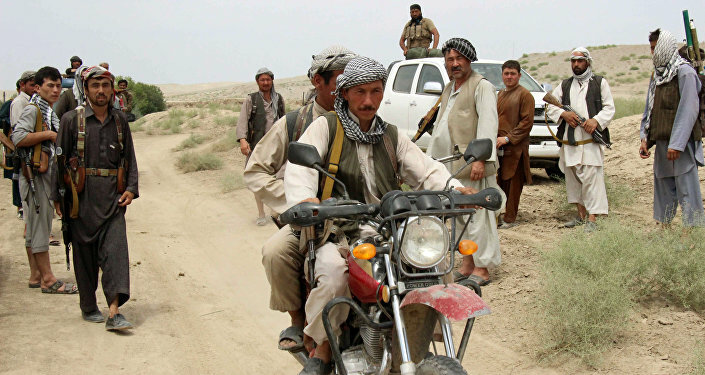 "American fighters began bombing Kunduz at night at around 2:45 am (GMT+4:30)," he said. "My store was located next to the MSF hospital. They bombed both the hospital and my shop, as if they were attacking the Taliban*. But there were no Taliban [fighters] there. If they wanted to bomb the Taliban, they could have done it in other places. Why did they bomb the hospital? It was the only hospital in Kunduz where seriously ill patients were brought from all over, with a hope for their cure." The businessman noted that following the strike, the Foreign Ministry of Afghanistan immediately submitted documents to the US embassy, but Washington did not give any response for a year. "Americans violate human rights. It was a heartbreaking and heartbreaking event," Raufi said. "The smell of blood in the hospital remained for months." 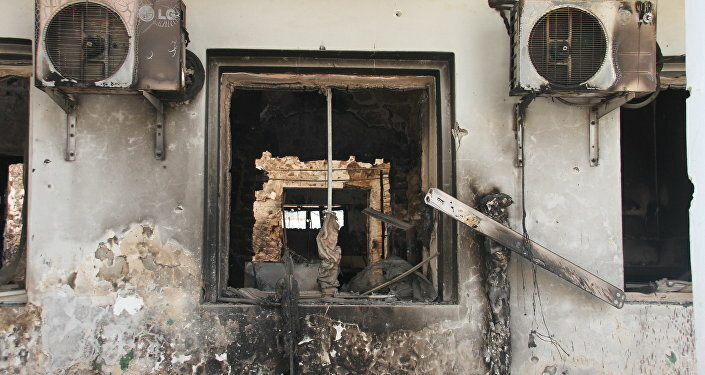 A year after the strike, the MSF reiterated their request to then US President Barack Obama to kick off inquiry into the attack. However, they received no formal response to their request from US authorities. For its part, the Pentagon outlined a series of "errors" that led to the airstrike. According to The New York Times' 2016 report, 16 American military personnel, including a general officer, were "punished for their roles in the strike." The media outlet specified that the punishments included "administrative actions" only and didn't involve any criminal charges, citing Gen. Joseph L. Votel, a top officer of the military's Central Command. The general claimed that the assault was "unintentional." *Taliban is a terrorist organization banned in Russia.